The evidence is mounting – Central Virginians can reduce their risk of cognitive decline by making key lifestyle changes. That is the conclusion of a new research summary published in early June in Alzheimer’s & Dementia: The Journal of the Alzheimer’s Association. 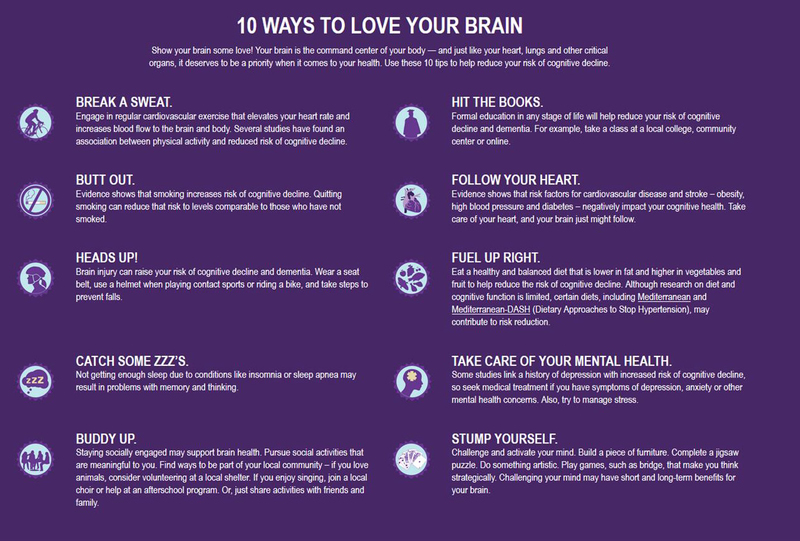 With this in mind, the Alzheimer’s Association offers 10 Ways to Love Your Brain, tips that may reduce the risk of cognitive decline. 1 – Break a sweat. 2 – Hit the books. 4 – Follow your heart. Evidence shows that risk factors for cardiovascular disease and stroke – obesity, high blood pressure and diabetes – negatively impact your cognitive health. Take care of your heart, and your brain just might follow. 6 – Fuel up right. 7 – Catch some Zzz’s. 8 – Take care of your mental health. Staying socially engaged may support brain health. Pursue social activities that are meaningful to you. Find ways to be part of your local community – if you love animals, consider volunteering at a local shelter. If you enjoy singing, join a local choir or help at an afterschool program. Or, just share activities with friends and family. In addition to reducing your risk of cognitive decline, these tips may also reduce your risk of dementia. Evidence for reducing risk of dementia is currently strongest in relation to formal education and the avoidance of head injury; other tips show indication of possibly reducing risk. Alzheimer’s disease, the most common form of dementia, is one of the nation’s largest public health crises. Alzheimer’s is an irreversible neurological disease that impairs cognition, orientation and functional capacity, and it is the only cause of death among the top 10 life-threatening conditions in the United States that cannot be prevented, cured or even slowed. My name is Christy Talbott and I Walk to End Alzheimer’s in honor of my best friend and husband Don. Don and I have been married for 28 years. When Don was 39 years old, I knew he had something very wrong with him. It took two years to get the final diagnosis of Alzheimer’s disease. Don was only 41 years old when he was told to go home and get his affairs in order. It seemed every day I was losing a little piece of the man I once knew and loved. 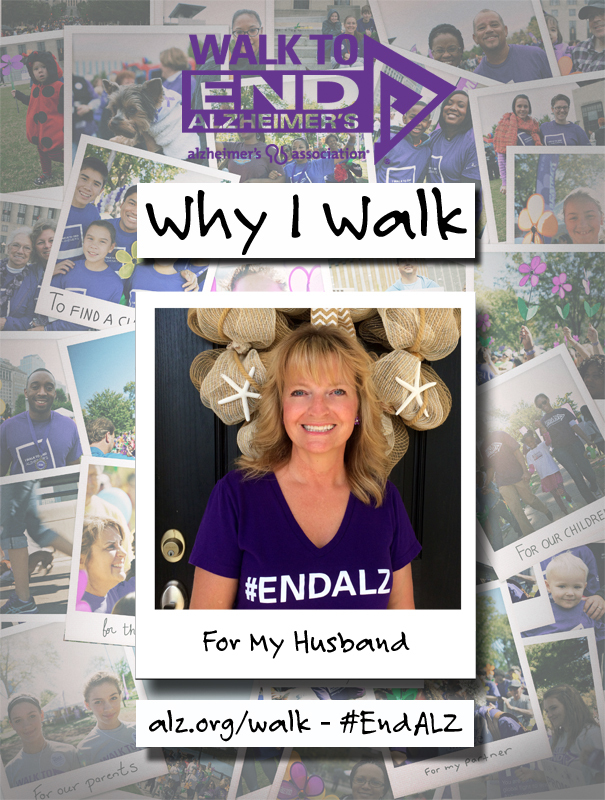 My journey to help my husband started with the Alzheimer’s Association. Education, support groups and trial match changed our lives forever! The complex course of Alzheimer’s can be so overwhelming. Alzheimer’s education prepared me to advocate for my loved one. Support groups gave me the coping skills I needed and reminded me I was not alone. Trial match has been a life-altering blessing in our lives. Don was involved in two drug studies and most recently had a Deep Brain Stimulator (DBS) placed at Johns Hopkins University in Baltimore, Maryland. The DBS is making a difference in his ability to remember and communicate. 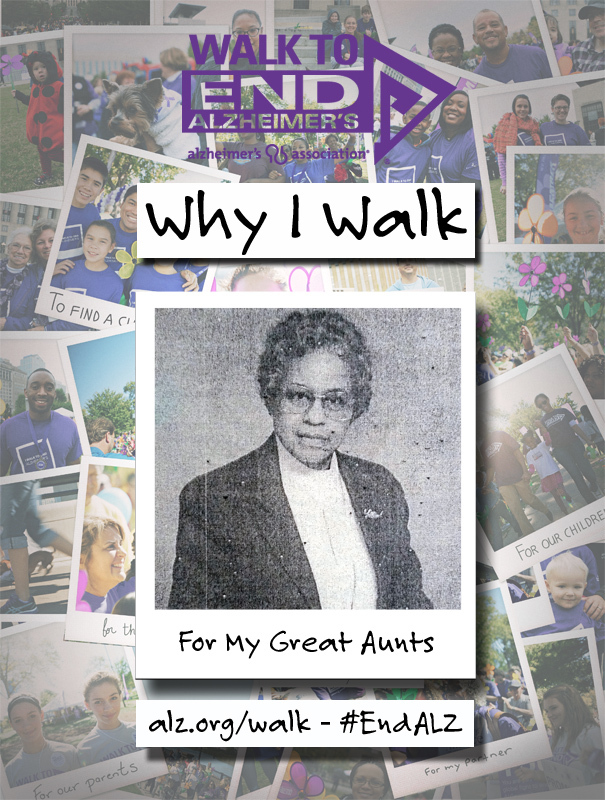 Without the Walk to End Alzheimer’s there would be no funding for educational programs, support groups and research! Hope is a terrible thing to lose. The walk provides us HOPE THAT ONE DAY WE WILL HAVE THE FIRST PERSON SAY I AM AN ALZHEIMER’S SURVIVOR.